Description; Original Vintage piece from family estate........Vtg. 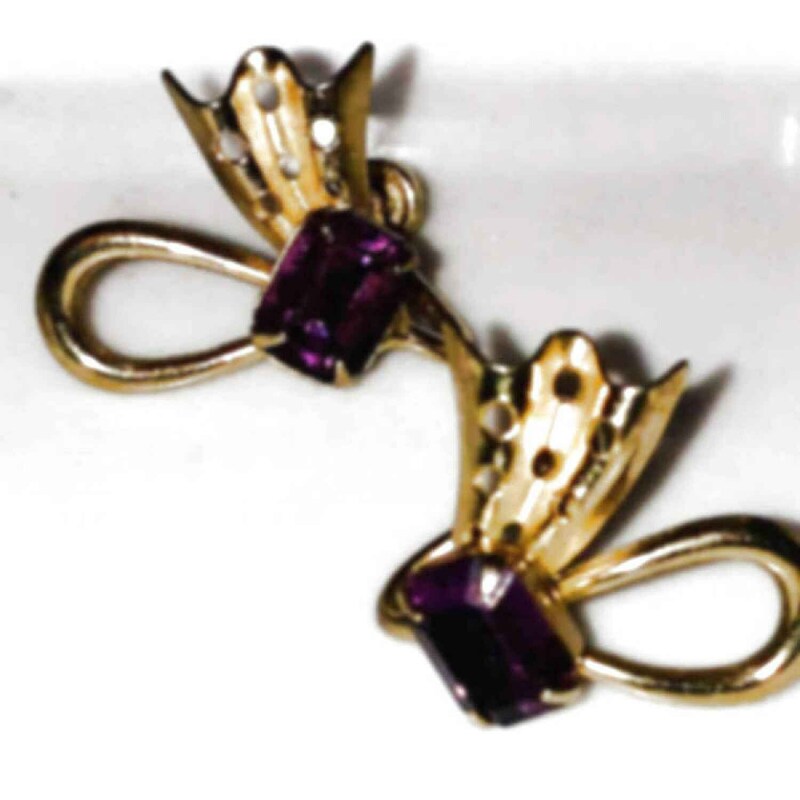 1970's This beautiful crafted pair of screw back earring by Scitarelli. Setting is gold-filled with green and clear rhinestones 1.5” long...the main element is approx 1.5” long and 1” wide. Earrings are approx .75” and from the era when we were coveting glamour, Hollywood "stars" and the world of "over the top" jewelry! These look so fancy and expensive.